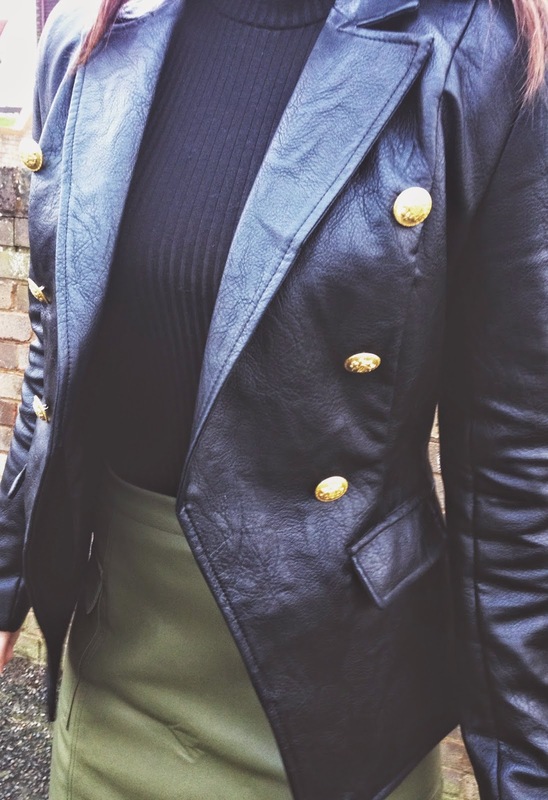 I absolutely love all these pieces from Missguided (apart from the top, which is Topshop!). I went on a spending spree the other day and I just honestly couldn't stop adding pieces to my basket! If you follow me on Instagram, you will know that I am so obsessed with Balmain. I absolutely adore the trend that they convey to the fashion industry, and my outfit has definitely been inspired by Olivier Rousteing's collection. 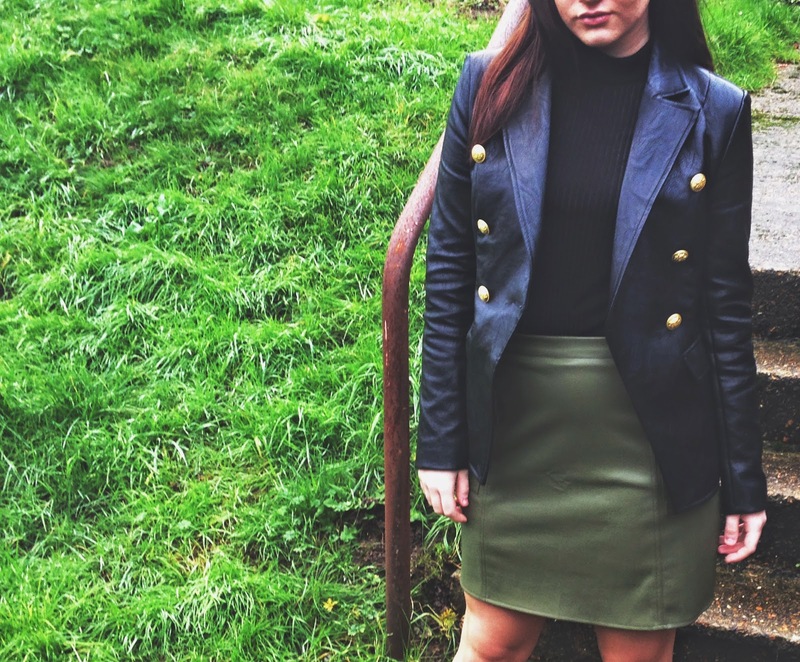 I went for the khaki skirt because of the colour - I love the khaki tone on it, and the faux leather really does give the outfit a killer edge. 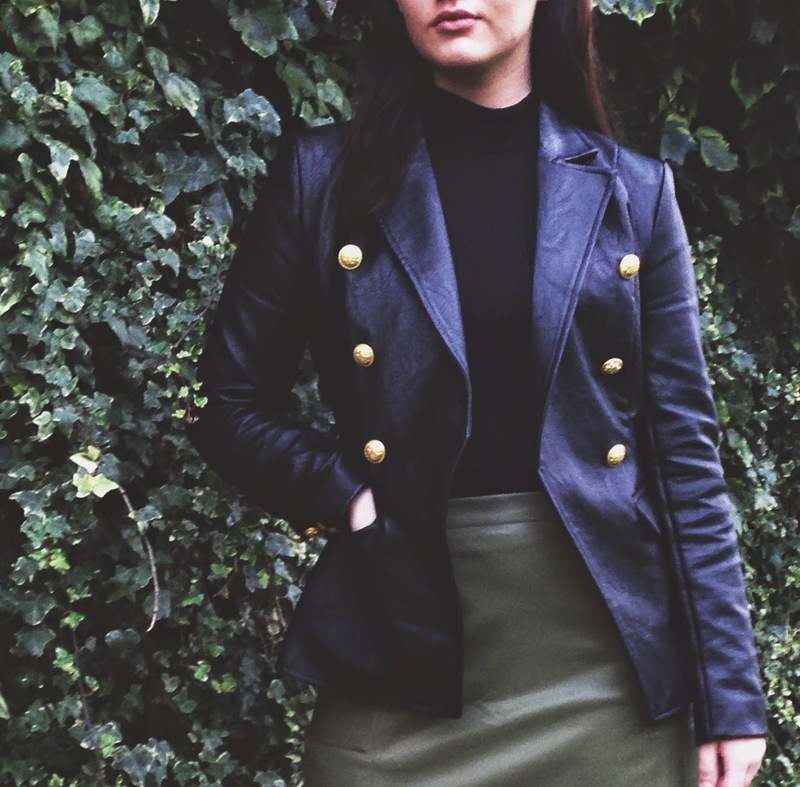 I teamed it with a ribbed black top from Topshop, and my new favourite military faux leather blazer. It really reminds me of the blazer Kim K wore a few months back which was actually Balmain - so I snapped that one up as quick as I could! I wanted to give my outfit a pop of colour with some leopard print heels which I ADORE. I cannot stop wearing them - I love the laced detailing on them aswell!